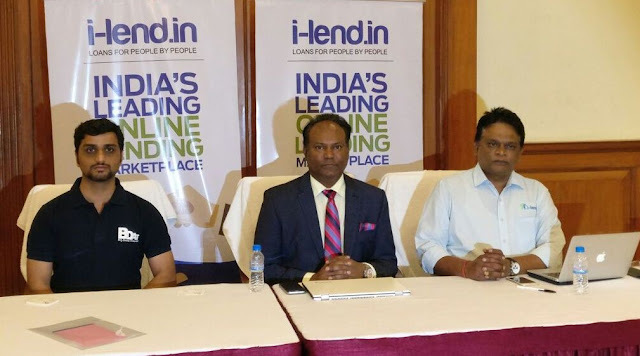 Hyderabad, November 30, 2016: Hyderabad-based www.i-lend.in; one of the best performing company in the nascent Peer 2 Peer (P2P) / Alternate Finance and UK-based Cove Venture, a leading Big Data solutions provider entered into a strategic agreement. Under this strategic agreement, both firms will apply Artificial Intelligence, Deep and Machine Learning algorithms in the Indian Alternate Finance & P2P Lending industry to ensure more people in urban and rural India get access to credit at moderate interest. The Indian Alternate Finance & P2P Lending industry expected to grow to over $ 20 B USD business in the next few years and the sector is experiencing rapid growth presently. The models will help improve the predictability by analyzing online, social and financial behaviour thereby enabling I-lend with significant accuracy. This predictability will help in pricing loans, opening up new segments and deliver better financial performance. Getting exclusive access to i-lend data helps Cove Ventures build cutting edge solutions across the fast growing finance eco-system in India. Hyderabad-based I-lend is founded by Shankar Vaddadyi, a pioneer in introducing P2P in India and who has several firsts to his credit. I-lend is the only P2P player which is automated end to end from KYC to agreement signature as well as money movement. I-lend is presently operational in Hyderabad, Chennai & Vishakhapatnam & has disbursed over Rest. 2.4 Crore loans with defaults below 0.3 %. Cove Venture Is a big data firm founded by Mr Madhava Turumella who is an alumnus of MIT and has over 20 plus years’ experience in Big Data, AI and Machine Learning. It has customers that include many European companies in sectors like Health Care and offers consultancy in application development and solutions in the Big Data and AI space.